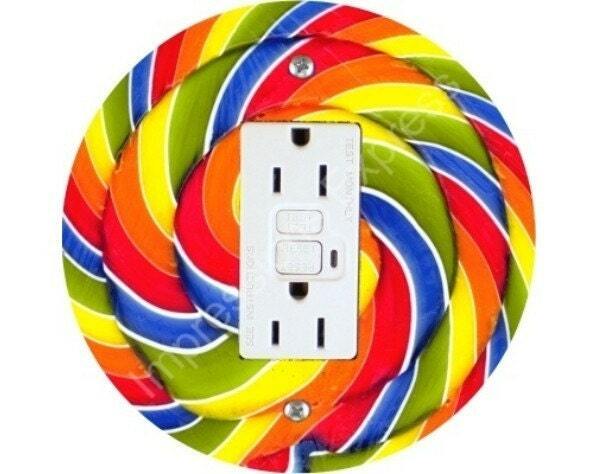 The image on this grounded outlet plate is a high resolution photo of a giant lollipop. 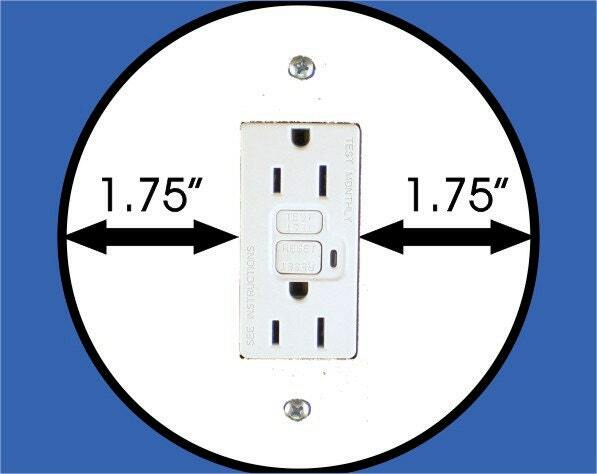 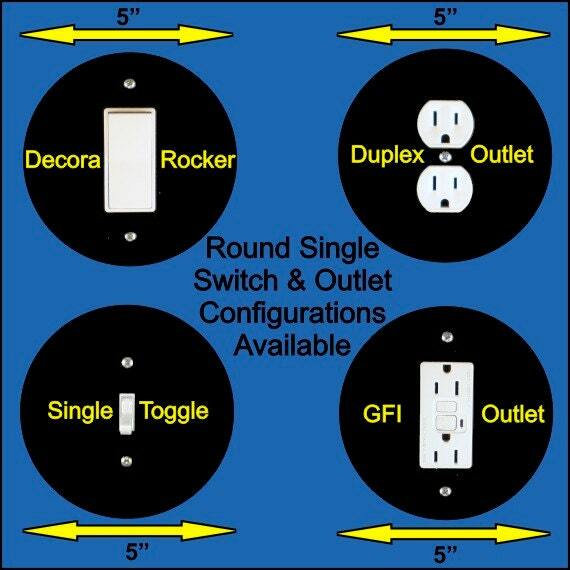 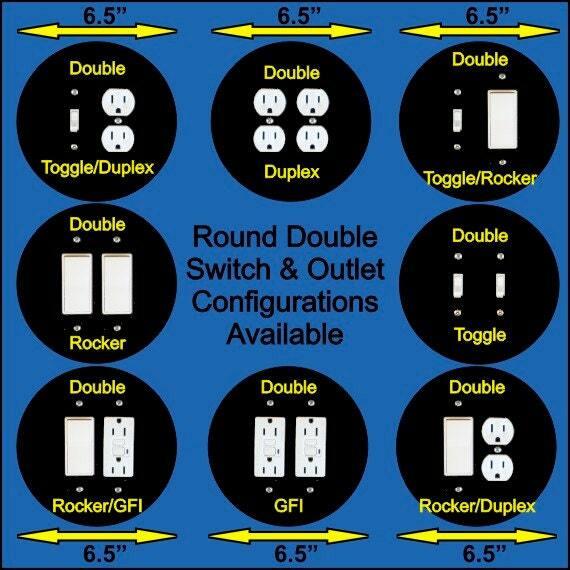 The image is imprinted (NOT decoupaged) onto a ROUND hardboard GFI/GFCI outlet plate. 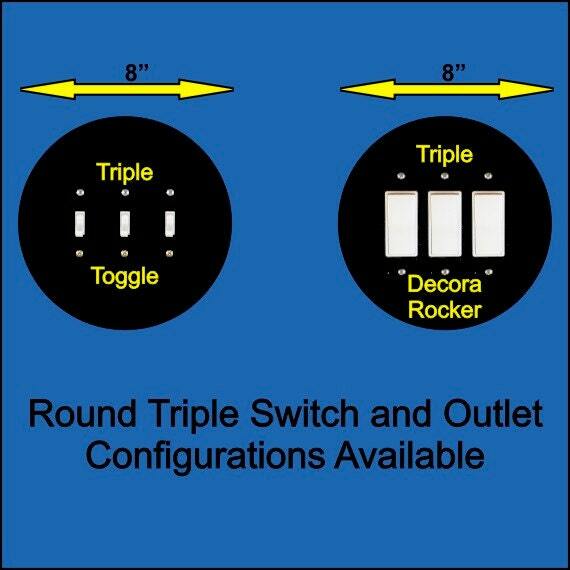 If you need sets, please contact us and we will set up a special listing just for you.